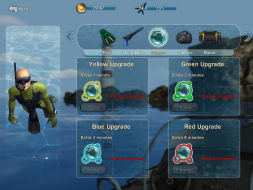 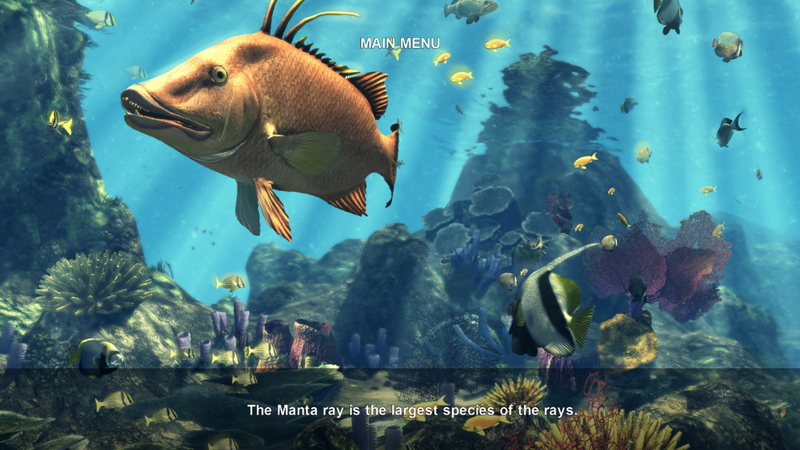 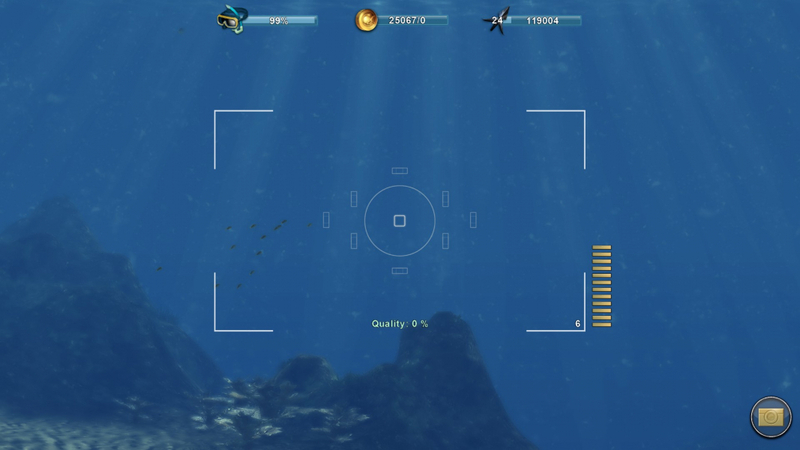 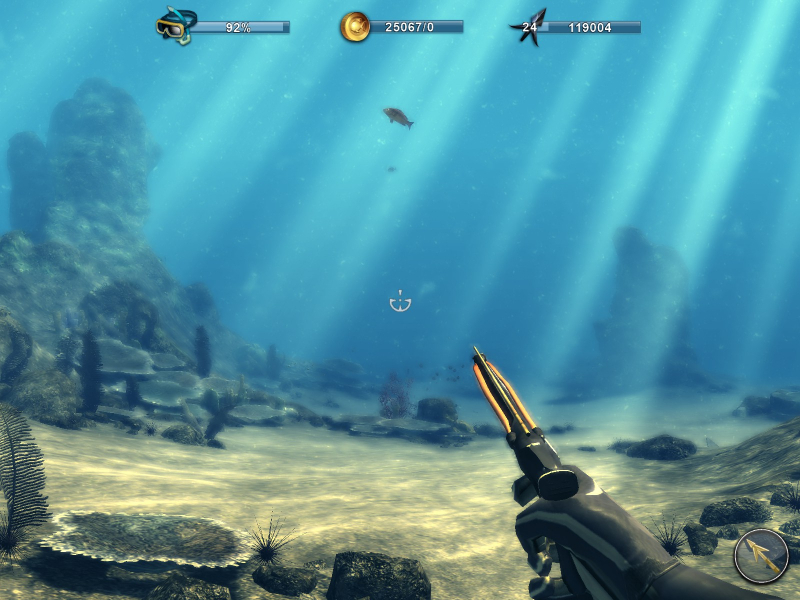 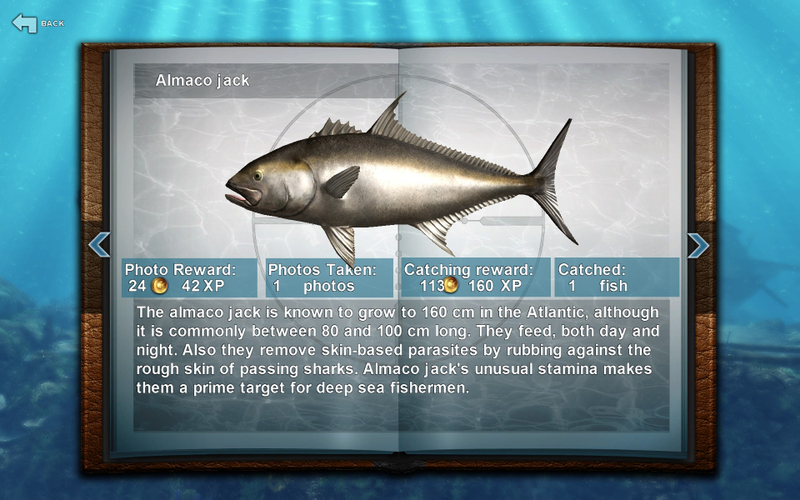 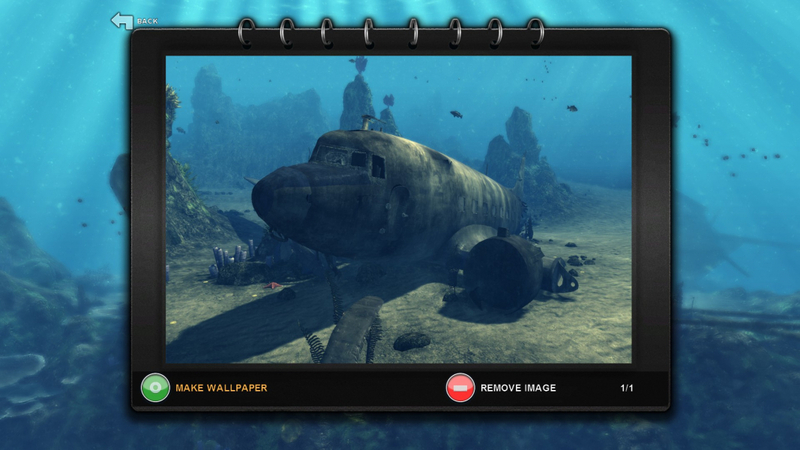 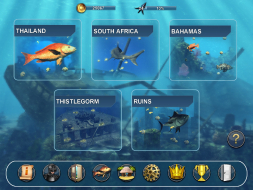 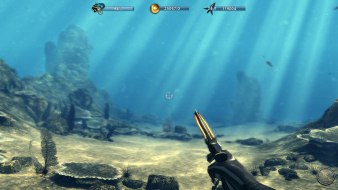 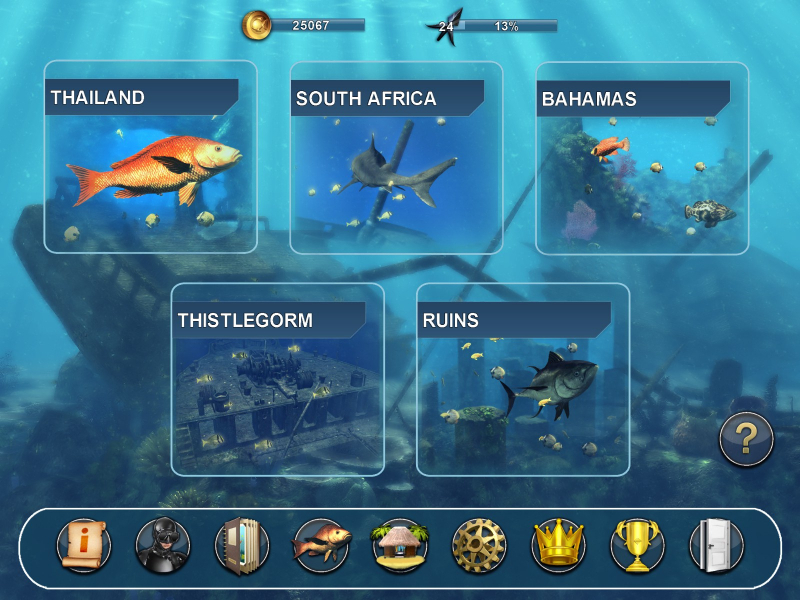 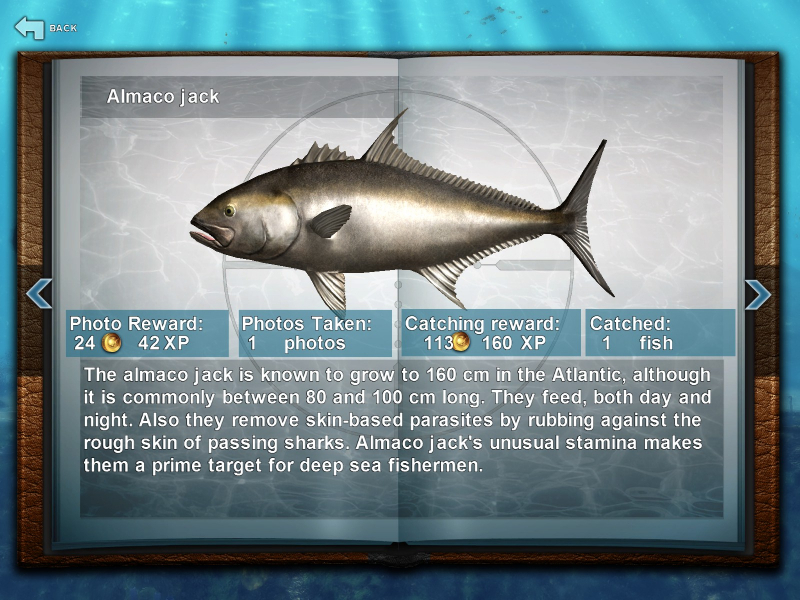 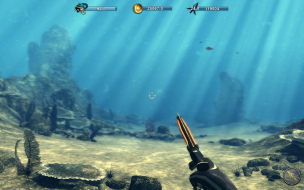 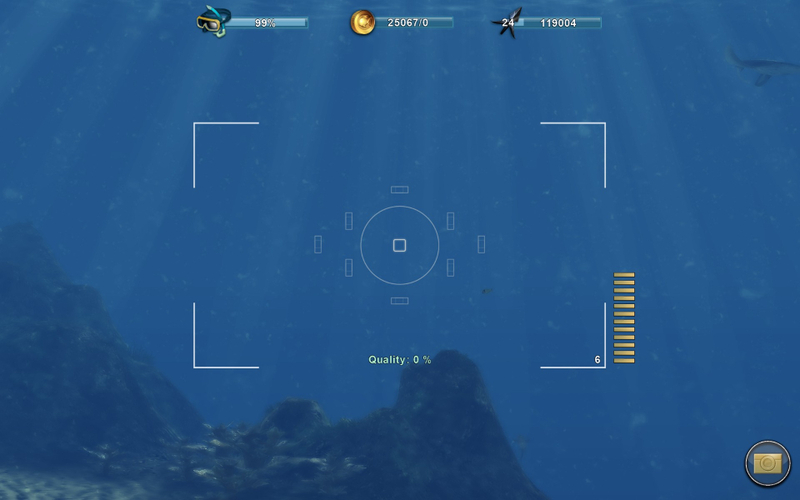 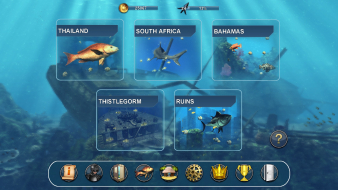 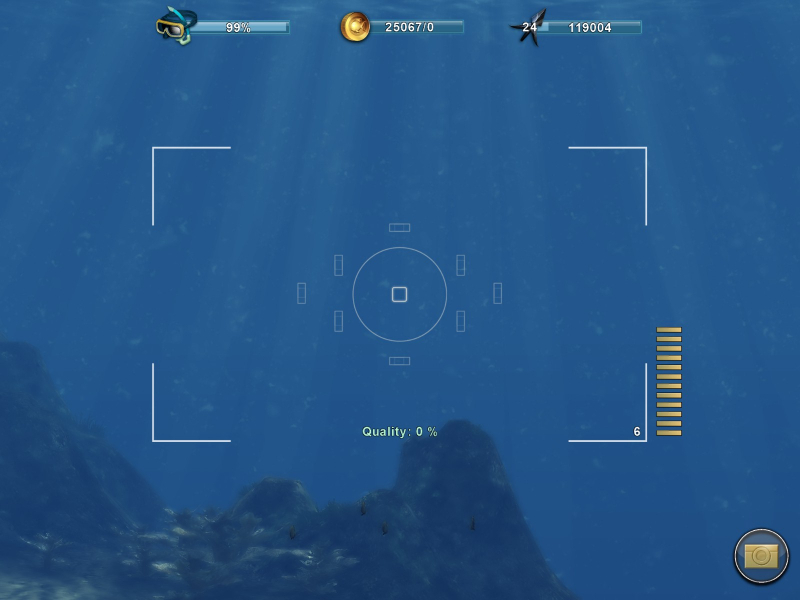 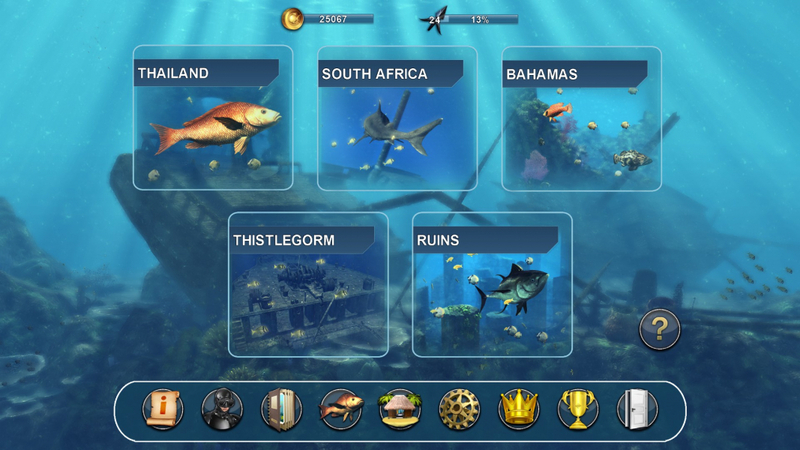 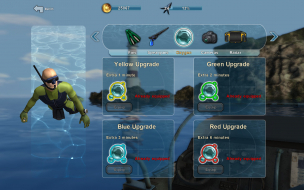 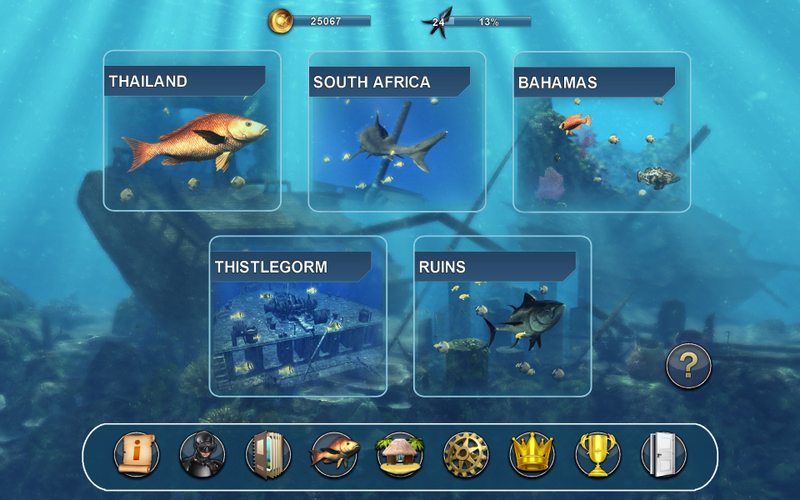 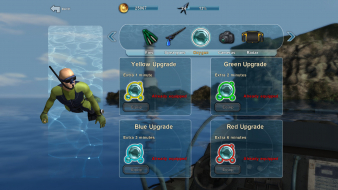 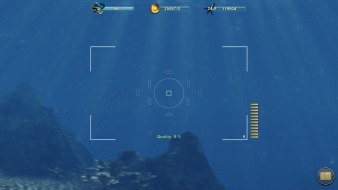 The campaign features fishing, photography and timed treasure hunting missions over three locales. 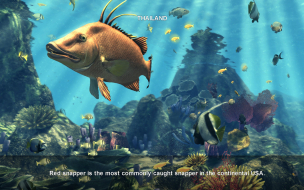 Experience and money will grant access to better equipment so you can swim faster, hold your breath longer, store more pictures, or shoot fish from further away. 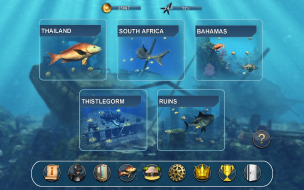 Freeroam mode lets players explore each area, gather XP & loot and kill, kill, kill the pretty fishies to their heart's content. 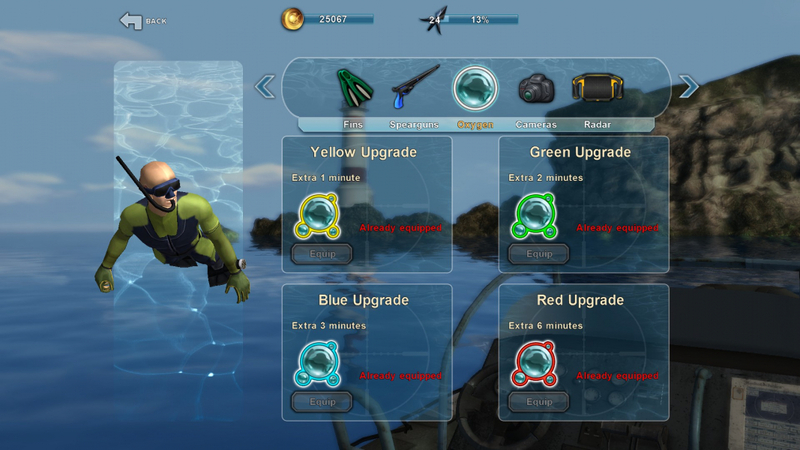 Resolution may be changed at any time from the options menu. 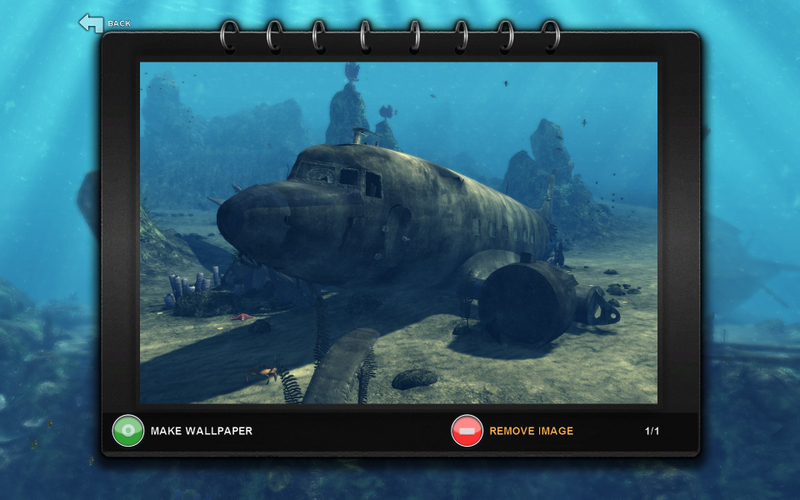 Photo album is a 16:10 frame; pictures taken in non-16:10 resolutions are stretched or squished to fit the frame. 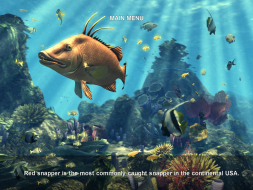 Loading screen art consists of 4:3 pictures. They are letterboxed in 5:4 and Vert- in widescreen. Pictures in the photo album are squished. 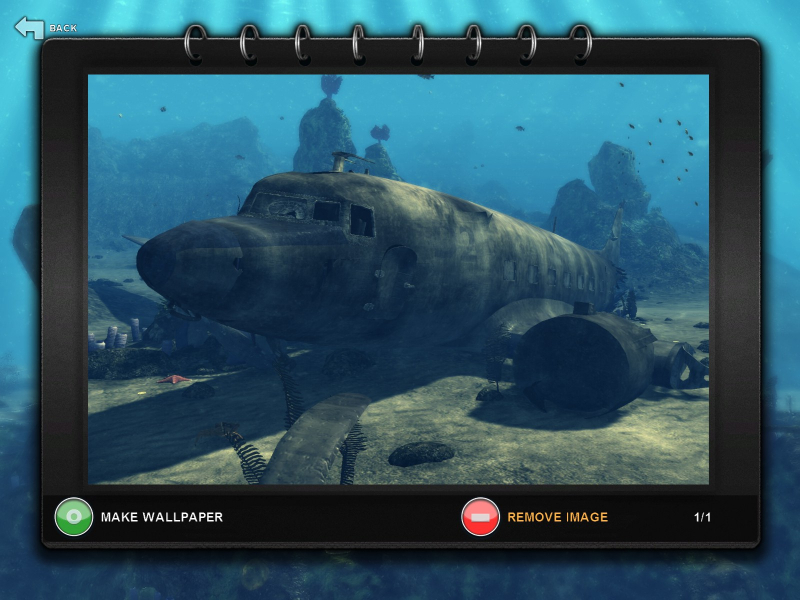 Loading screen art is Vert-. 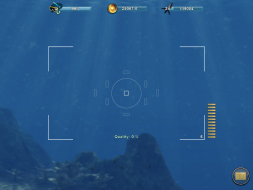 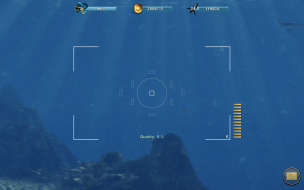 HUD is strictly centered: bezel compensation is not taken into account.